1. Does the State Department agree with the FBI’s finding that Secretary Clinton and her staff were “extremely careless in their handling of very sensitive, highly classified information” and that “there is evidence of potential violations of the statutes regarding the handling of classified information…”? 2. 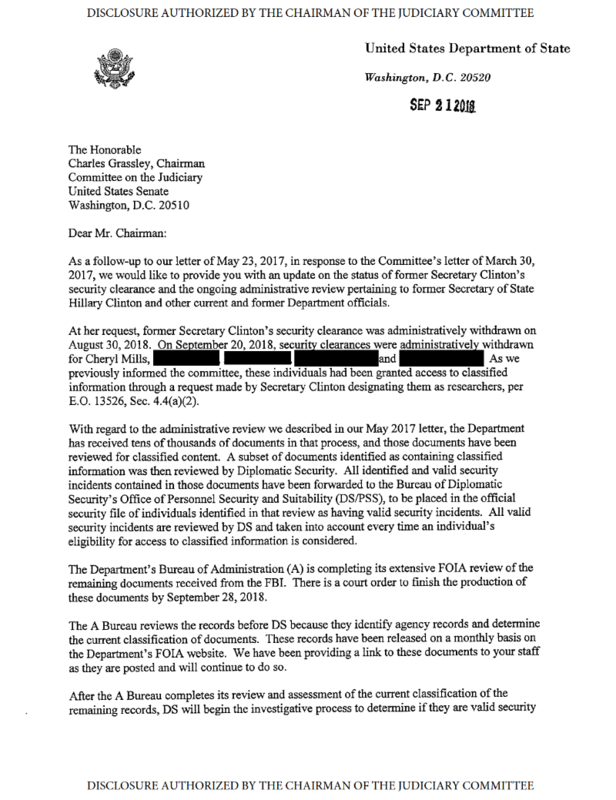 Does the State Department agree with the FBI’s finding that “[t]here is evidence to support a conclusion that any reasonable person in Secretary Clinton’s position, or in the position of those with whom she was corresponding about the matters, should have known that an unclassified system was no place for that conversation”? 3. Does the State Department agree with the FBI’s finding that despite not recommending criminal prosecution, “this is not to suggest that in similar circumstances, a person who engaged in this activity would face no consequences. To the contrary, those individuals are often subject to security or administrative sanctions”? 4. 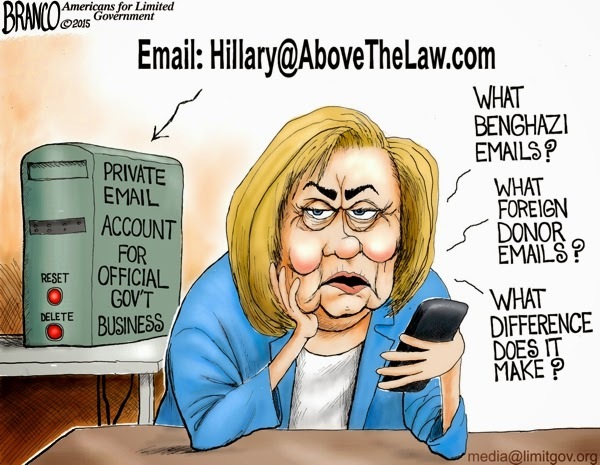 As a result of the FBI investigation, has the State Department begun a security review due to the mishandling of classified information by Secretary Clinton and her colleagues and associates? If so, which individuals’ clearances are part of the review? If not, why not? Please explain. 5. As a result of the FBI investigation, has the State Department suspended or revoked Secretary Clinton’s clearance or that of any of her colleagues or associates, to include her subordinates at State and her attorneys? If so, which individuals? If not, why not? Please explain. 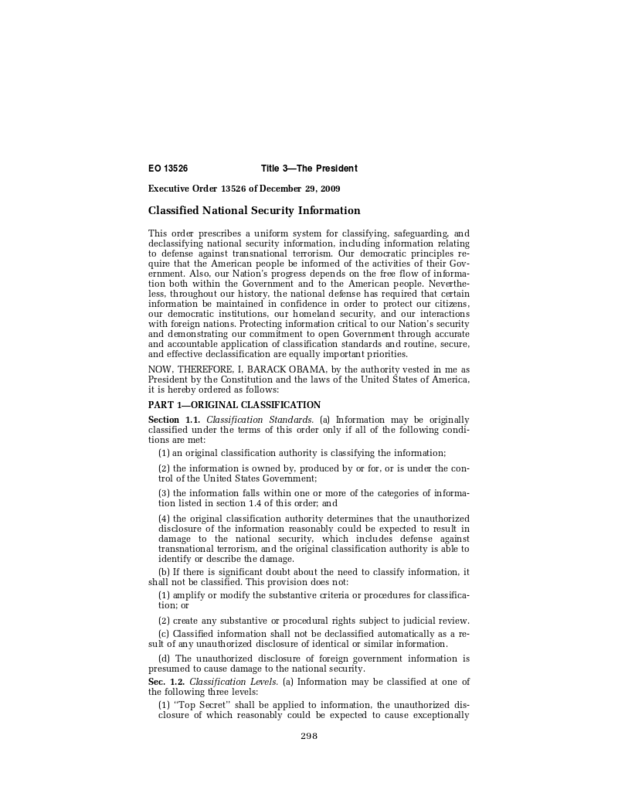 This entry was posted in Uncategorized and tagged Hillary Security clearence, IUV, love. Bookmark the permalink.